Shopping for Alice in Wonderland Key Chains? A colorful key chain featuring the mischievous Cheshire Cat! Based on Walt Disney's classic animated Alice in Wonderland film! Alice in Wonderland Cheshire Cat Laser Cut Key Chain. 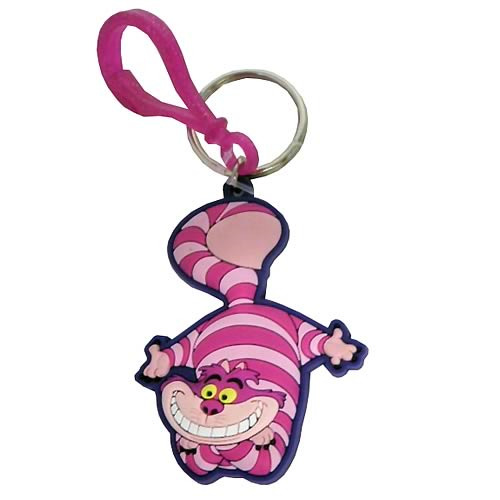 This bright and fun rubber key chain features the mischievous Cheshire Cat, in one of his absolutely mad poses! Based on Walt Disney's classic animated Alice in Wonderland film, this is one key chain that will keep you grinning! Order yours today! Measures about 2 1/2-inches tall x 2-inches wide x 1/4-inch deep.